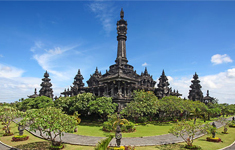 Through this program we will see the Denpasar City, Denpasar is the capital of Bali Province. 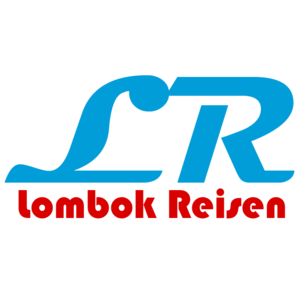 The main street of Denpasar is Gajah Mada Street where the main is shopping center; there are 2 big markets, Pasar Badung and Pasar Kumbasari, Pasar mean market. 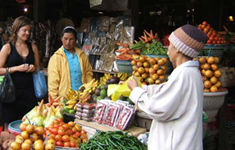 Both of the market has 4 store and open 24 hours in the day time the market open in main building, in the base and second floor for vegetables, fruits, meat and daily food seller, third and fourth floor for textile and temple procession equipment. Late evening till early morning the market open in the parking area. Second stop at Bali Museum, this museum originally built in 1910 by Dutch Government. 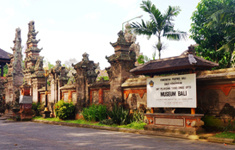 In 20 January 1917 this museum was destroyed by the biggest earthquake in Bali. 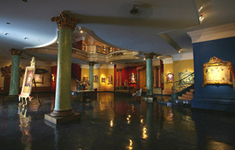 In 1932 the museum again till today, there are 4 main building in south pavilion has 2 store has collection of prehistoric pieces, traditional artifacts’ and some old painting. Further north Buleleng building has variety collection of textiles including endek and double ikat gringsing. Other building Karangasem has Balinese calendar and priest’ clothing. The Northern building is Tabanan has many Barong mask and Keris. 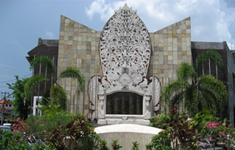 Fourth Stop at Balinese People Memorial or Bajra Sandhi, new memorial built for Balinese People located in Puputan Renon field park surrounding by Bali Government Office such as Bali Governor Office, Bali Parliaments Office and other Bali Government Department Office, huge memorial with ornament of Balinese story from pre historic time till today, the memorial also have room for exhibition and library. 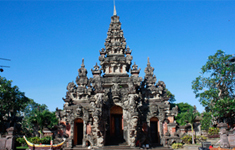 The building style (Bajra Sandhi) is taken from the weapon of Ludra God, the god who occupy south west of Bali.